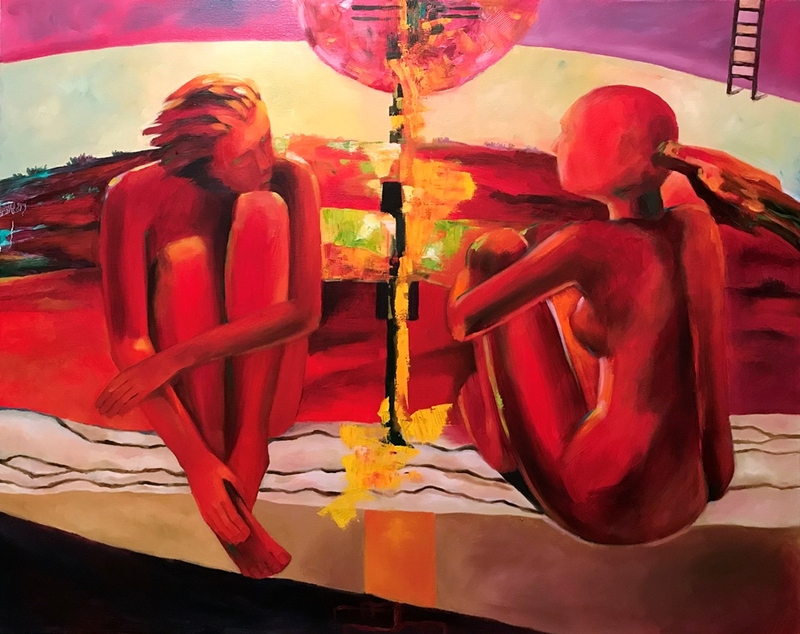 The author's abstract collection of original paintings includes female characters, geometric patterns, bright colors and conceptual still lifes. These paintings are large and atmospheric pieces. Abstract style of painting today is the most popular way of decoration for modern designers. 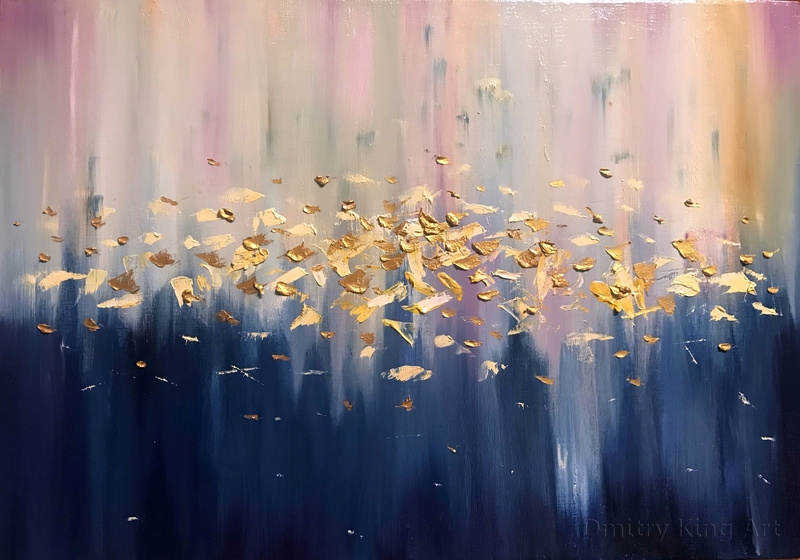 Our great selection of original abstract oil paintings captures the inspiring concept of this style of painting. Abstract art always tries to depict not visual reality, but its abstracted version. The results of such creativity in our abstract oil paintings are amazing and very decorative. Experienced interior designers often use paintings of abstract wall art to find a universal style from any interior. 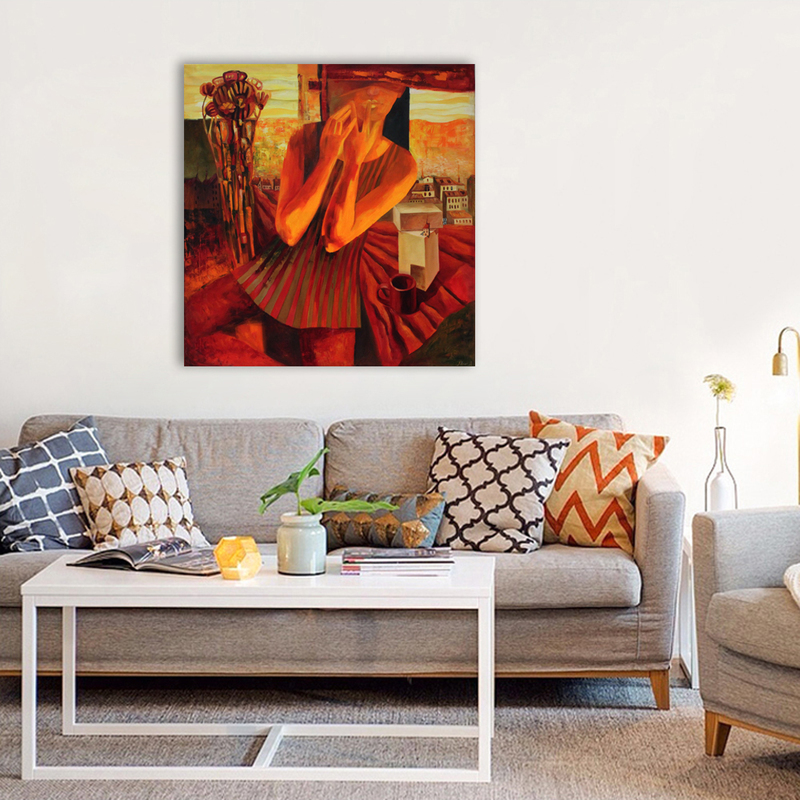 Abstract artworks are perfectly combined not only with modern interiors, but also with fashion trends, such as furniture of the 1950s or even traditionally furnished rooms in old houses. It's an amazing contrast between the old and the new! Everything is possible with our abstract paintings. 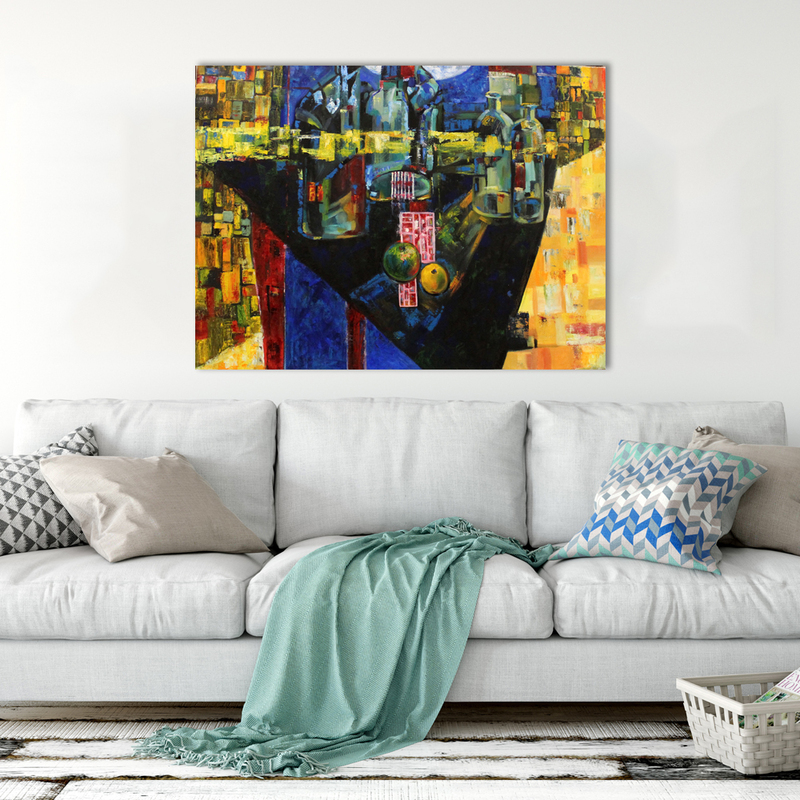 In our collection of abstract paintings by Bulgarian artists you will find bright colors and geometric shapes, women's characters, unusual abstract flower compositions and stylish still lifes. 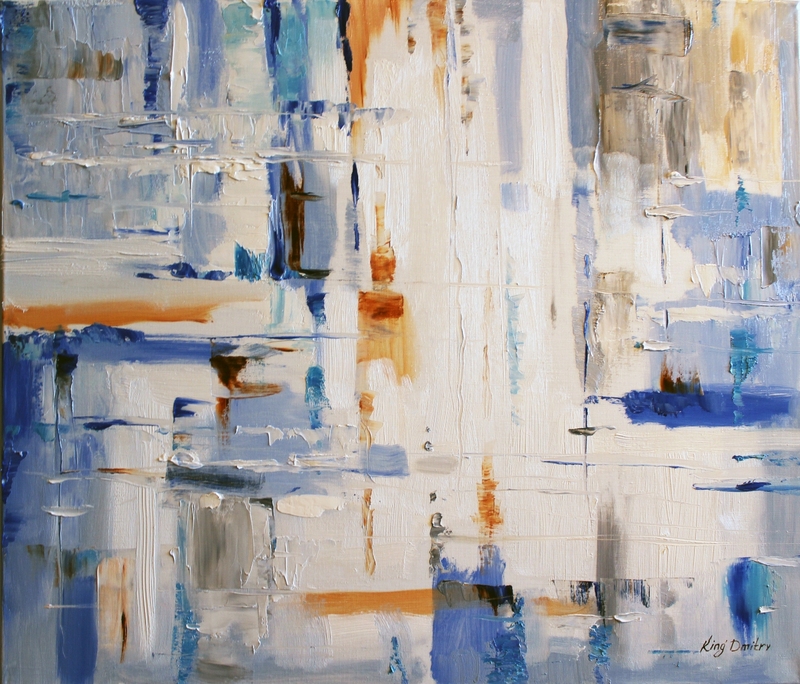 Just choose a piece of abstract art that speaks to you in one visual language! 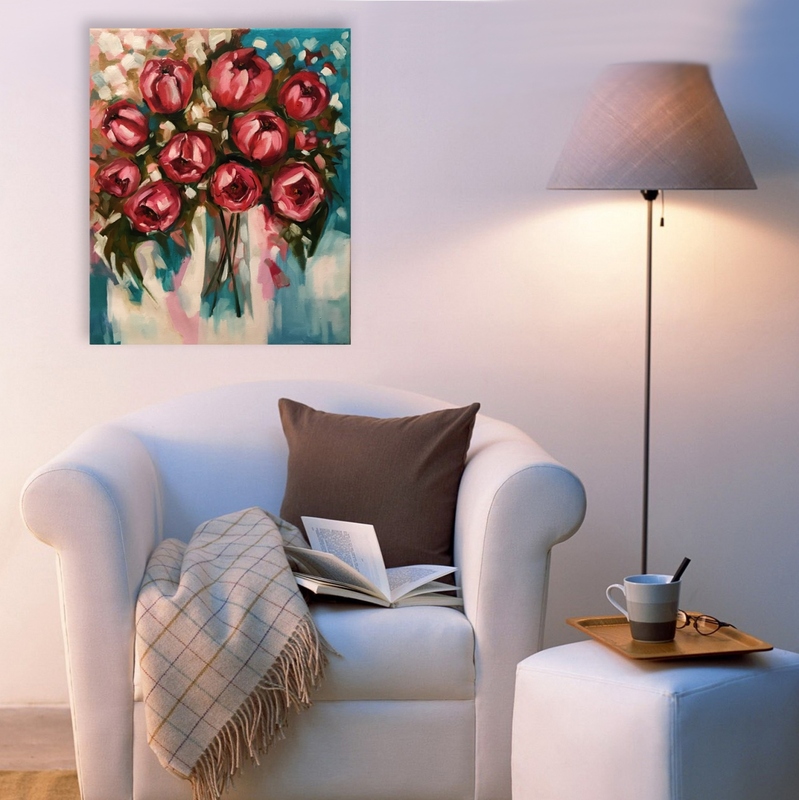 Find your stylish self expression with our original abstract paintings! Inspire your loved ones and guests!